The Black Diamond Factor AT Ski boot is the flagship boot of their new ski boot line. 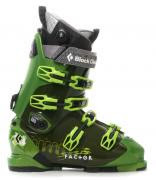 All of Black Diamonds ski boots were new in 2008 and are virtually the same in 2009. I am writing this review after one full season of use. 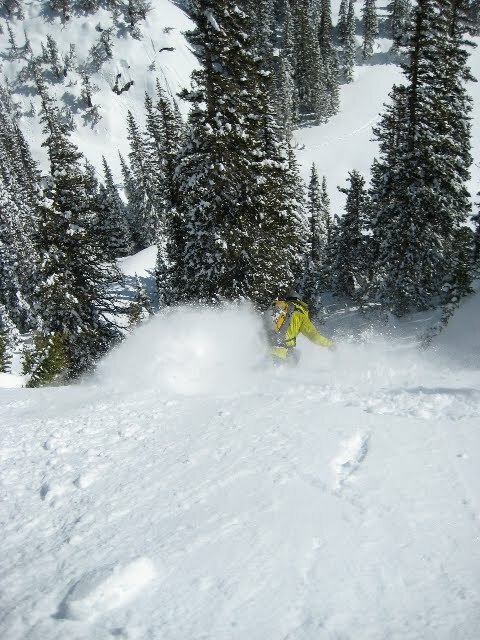 I skied the Factors through the entire season from long backcountry tours, to single steep area runs. The skis used were the K2 Coombas (181) mounted with Dynafit F12 bindings, and a pair of K2 Apache Chiefs (181) with Fritschi Freeride Bindings. The boots come with the BD Alpine DIN Blocks, but I switched out to the AT Blocks (Dynafit compatible) before the first use and never switched back. My first impression of the boot was it was a well designed, four buckle, overlap design, with a 130 flex (from BD), weighed in at 7lbs 8 oz per pair without liners, and a new design of a liner (Power Fit with Boa closure system). I quickly went to Chuck Bird, the resident podiatrist at Neptune Mountaineering, to have my new liners heat molded to the boot and also mold a pair of intuition liners to the same shell. 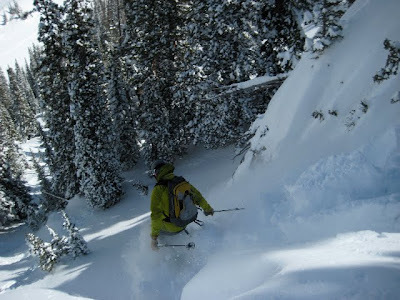 I have skied in Intuition liners for over 10 years and know what to expect out of them. With both liners molded I was excited about getting out to ski. Where did I get to ski you ask? I had the pleasure of skiing throughout Colorado, and in a few places in Utah and Alaska. 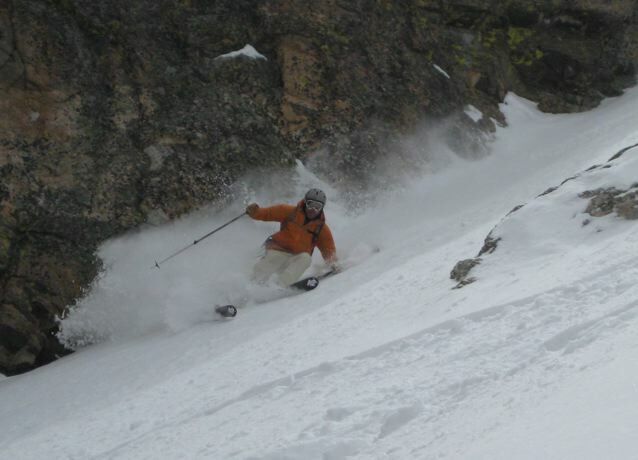 The days were a mixture of area skiing and backcountry tours with an emphasis on the ski decent. My favorite tours of the season were in no particular order: North Couloir of Buffalo, Eldorado Peak AK, Mt Otis Hidden Couloir, and the Elevator Shaft on Hallets. What did I think of my Factors on these outings? The boots toured well while going uphill, but along the flats did not have enough rear flex for an easy stride. Luckily most of my tours had very little flat terrain to skin across. The downhill performance of the Factors lived up to my expectations at about 90%. I could drive a K2 Coomba with authority in powder and some crud, but the boot would flex out if I were in big bumps or really thick crud. The 130 flex seemed to be a bit soft and from a pure feel felt the same as an Alpine boot 110. I ski in the 26.5 size and in compression I can touch the middle two buckles together. As I stated above ski boot liners are important to me. They are the key for a comfortable day of touring, giving a precise feel from boot to ski, and hopefully have no gaps in the padding to boot. The new BD Power Fit liner with BOA construction (it is a wire lace system that tightens and loosens with a circular ratchet) has a clean look along the lines of most Alpine ski boots. They are made of thermo formable foam (the outside of the liner does not stretch so the liner only molds inward), have a classic Alpine tongue, close via the BOA system, and weigh 1 lb 11.6 ounces per pair. I found the padding packed out after about 5 outings. They toured well and were comfortable on my feet. I switched out to the intuition liner after 10 days and here are the comparisons. The liners weigh in at 1 lb and .8 oz (That is just over 1 pound), have an overlap design (new Intuitions have the standard tongue), and are made from a stiffer heat moldable foam. It comes down to personal preference for the liners. Over the season I read a few blogs about the Factors (the best being Lou Dawsons Wildsnow), skied with a few friends who owned them, and had good discussions with people I ran into while skiing. The general impression was that everyone loved the way they skied downhill, but that the boots could go through an update to improve a few things. The issues people had were: Forward lean mechanism could come out if the screws became loose, buckle could break, heal and toe plates difficult to trade out, wire on the liners can get stuck and not open, and boot not as warm as others. I am told Black Diamond addressed these issues in the following ways: Completely redesigned forward lean/walk mode mechanism to ensure it wont break, new metal for the buckles, made the boot board seal tighter for no air gaps (makes the boot warmer), and left the heal and toe plates the same. I am looking forward to getting my hands on the new version of the boot to verify the changes and believe these changes will make the Black Diamond Factor the best AT boot on the market for aggressive downhill skiers. Mike - I spoke to BD and they indicated that the improvements you mention have not been made to the 2010 Factors (with the exception of the walk-mode fix). They said those improvements will be made to a new '10-'11 boot. Thanks for the heads up. I am going to contact Thomas at BD and relay any response I get. I have not seen the new (for me) 09/10 version so was going off of what BD informed me. 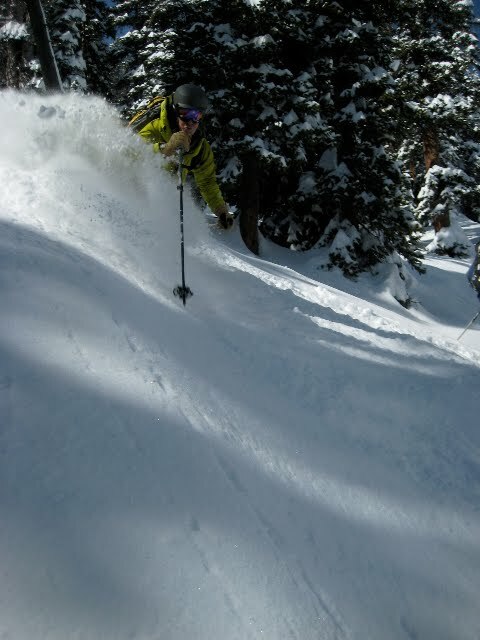 I read your post on the Factors and all you said for the improvements are true for the boots out this season"
I remmeber when I was to Denver to ski. first time I use the wakeboard I broke my leg. it was a disater, but an interesting story at the same time.